In the bonus offer section check out the Caribbean Airlines bonus for flights between Toronto and Guyana as well as the Marriott bonus for stays at Residence Inn Kingston Water's Edge. Last day! Enter to win a pair of Maple Leaf Lounge passes! Find out more here. KLM Wild on Wednesday is back! 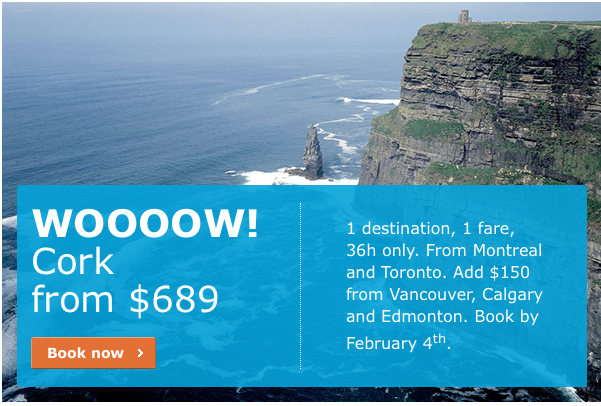 This week the destination is Cork Ireland for $689 all in from the East or $8399 from the West. Book by Feb 4 for travel until May 6! Find out more here.